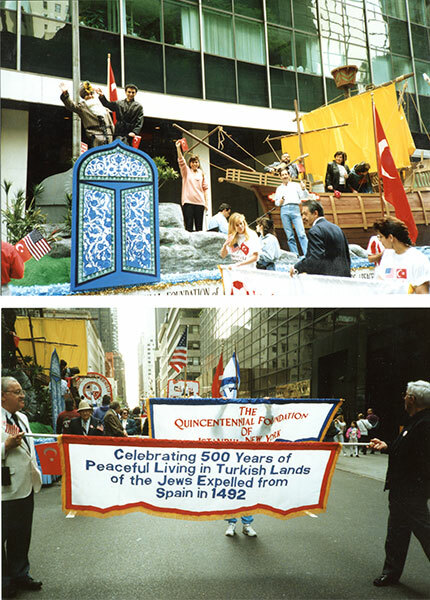 The Quincentennial Foundation Museum of Turkish Jews was founded on the premises of Zulfaris Synagogue in Karaköy in 2001 and the museum continued its presence there until October 2015. 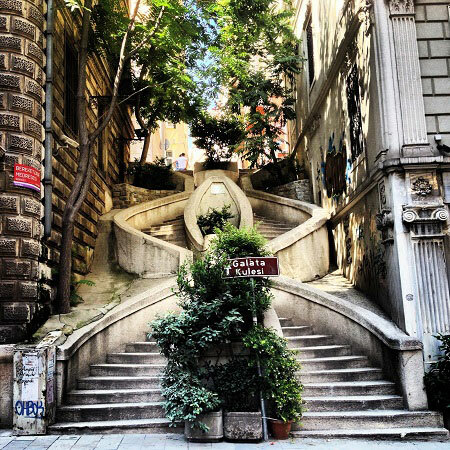 As of January 2016, it has moved to the compound of the Neve Salom Synagogue located in Galata, one of the oldest districts of Istanbul where Jewish people have settled. The design, planning and construction of Neve Şalom Synagogue was started in 1949 by Elio Ventura who had just graduated from Istanbul Technical University and Bernard Motola. The inauguration of Neve Şalom Synagogue was held on 25 March 1951. Weddings, circumcision, Bar-Mitzvah and Bat-mitzvah ceremonies and holiday celebrations continue to be held there. Located in 3 separate divisions, the museum is positioned independently from the synagogue. The glass passageway to the ethnographic section enables the visitors to the museum to see the interior of Neve Şalom Synagogue and to witness religious ceremonies being held there. Configured with a mindset of establishing a modern, contemporary museum that blends technology with the past, the museum has welcomed visitors in its new location since January 14, 2016. Alongside the permanent exhibits, The Quincentennial Foundation Museum of Turkish Jews offers a diverse environment of museum experiences with temporary exhibits, conferences, seminars, concerts and various other events.